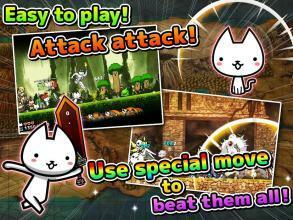 ◆ The explosive birth of new cat game! ◆ Easy to play for anyone! Super cute Cat and hyper Simple RPG! Beginners are welcome! Of course game freaks and children are also welcome! Let cats take over this world !! 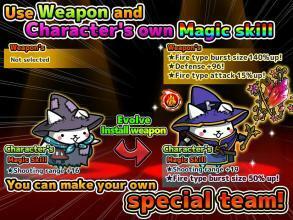 ▼ Very easy battle system Tap your character! They sometimes show their special moves! Easy to play for anyone! Let's beat all enemies to reach goals! ▼ New style attacking type tower defense! This is a brand-new-vibe, non-stop game! Offense is the best defence !! Cats just keep going! 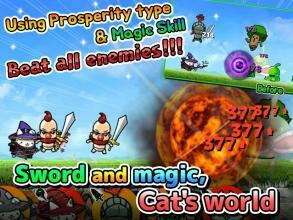 ▼ The world of sword, magic, fantasy and cats Find the best combination of weapon and magic! Enjoy unlimited patterns created by magic skill! 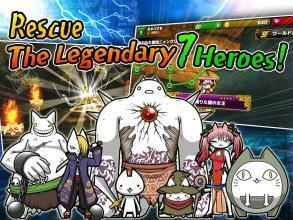 Rescue the Legendary 7 cat Heroes !! 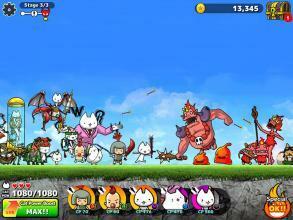 ※※ Price ※※ This app is free - to - play and offers in - game purchases.